What’s the Differences Between Ontraport 4.0 and Ontraport 5.0? If you’ve seen all the fuss and wondered, “what’s new in Ontraport 5.0?” I’m going to breakdown the differences between Ontraport 4.0 and Ontraport 5.0 for you. Over the last few weeks, Ontraport has been hyping the heck out of their new 5.0 release. Does Ontraport 5.0 live up to the excitement? In a word – YES. Let’s dig in a see what’s changed in the all new Ontraport 5.0…. The biggest difference is the addition of Ontraport’s visual campaign builder. While this is not new to the marketing automation space, Ontraport has certainly done it up right. The wait was worth it. Personally, I’ve never been bothered by Ontraport’s lack of a visual builder. In fact, I kind of liked not having one. I’ve always thought of them as gimmicky – eye-candy without any real usefulness. But Ontraport has re-imagined the entire idea of a Campaign Builder and made it into something more than a gimmick. Unlike other builders on the market, this one is very intuitive and powerful. And it looks cool! Bonus. Pictured above is a sample campaign for scheduling an Ontraport demo. To start with there are 33 ways to trigger a contact being added to a campaign! 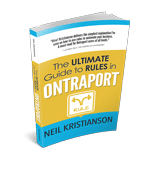 Essentially, Ontraport has taken all the old global rules and turned them into triggers – and then some. We never had this many triggers in the past. As part of these triggers, we now have the ability for a contact to enter a campaign multiple times – or not. You now have a choice about how your contacts are handled if they repeat an action. Nice. If you think that’s cool, you might consider an Ontraport demo. From there campaigns have 17 different actions to choose from. No longer do the actions hide within rule steps in a sequence. They are now out in the open and identified so we can see at a glance what is happening at each point in our system. In addition to actions, there are also filters. Filters allow us to manipulate and manage the path of contacts through our campaign. The best new filters available are the split test and the fork. This is a big difference between Ontraport 4.0 and Ontraport 5.0. It was very easy to split a single email in 4.0 but it was difficult to split test a sequence of emails. It took a bit of trickery. Now it’s a click of your mouse. AND you can even weight your split! So 15% could go down one path and the other 85% of your contacts could go down another. Very nice. The other big change from Ontraport 4.0 is the addition of goals. In a way, goals can replace global rules. Though you could probably build campaigns without goals, you’re going to want them because the metrics on these goal steps are AMAZING! More on that in a sec. When a goal is achieved you can set Ontraport to move your contact to other places in your campaign map. So the goal allows you to keep your workflow all in one place. Unlike in 4.0 where a goal (global rule) was usually used to move a contact to a brand new sequence, here we can keep them in the same campaign, yet treat them differently than other contacts in the campaign. Here is my personal number one difference between Ontraport 4.0 and Ontraport 5.0. It’s something I’ve been waiting for ever since I first started using Ontraport. The metrics inside Ontraport have been pretty weak. You weren’t able to make real-life business decisions based on the stats you could pull from your account. Over the years I’ve seen clients make some creative Excel spreadsheets to make up for Ontraport’s lack of reporting. But all that changes today. Ontraport 5.0 metrics are going to change everything about your business!! Not only does 5.0 have some great metrics, but the way the engineers have laid the metrics right on top of the visual campaign builder is genius! I’ve never seen anything like this. So simple and makes perfect sense. Now I can see how my contacts are flowing through my system at a glance. I can see what percentage of my contacts are achieving my goals. I can see what each of those goals means to me in dollars. It’s like having Ontraport, Lucidchart and Wicked Reports all rolled into one. This is going to be so simple for the average user to run their business with these new metrics. If you’d like some help setting up metrics in your account, schedule a time to talk with me. See how many people have gone through each step of your campaign. See where your contacts are currently. This view can help you quickly identify problems with your setup. If you’re seeing a bunch of goose eggs on your map – zero – then there might be a problem here. See how many and what percentage of your contacts have achieved your goals by trigger (i.e. source). For example, you can compare what percentage of your contacts scheduled a strategy call with you by which lead magnet they requested. So you can see which lead magnet is doing the best job of setting up your funnel. I frickin’ LOVE this report! Here you can see the average and total value of all your contacts at each step in your system. So you can quickly see how the value of a client grows over time as they make their way through the system. It’s also going to help you identify which parts of your campaigns are weak and not creating sales. By selecting a goal in our campaign we can see the percentage of contacts that converted on that goal at every step in our system. This will help you see which steps in your system are most valuable at achieving a goal. Another great new report! How long does it take for a contact to achieve a certain goal from any point in your system? This can help you determine how long it takes for a contact to turn into money. You can use this information to budget your ad campaigns. Does it take 15 days for a new opt-in to purchase something or 5 hours? Again you can see where in your system someone was when they achieved your goal. What percentage of people were on email #1 vs email #5? Oh, and did I mention that all the stats, in all the reports, on your map are clickable so you can build an instant group of people based on that metric? SCORE! After all, I’m the guy who wrote the book on rules. But it’s not all bad. If you read the book, or even if you still read the book, the information is still useful because rules have essentially become triggers and goals. The new campaign builder eliminates the need for separate Ontraport Rules and Sequences. While these both continue to be available to use in Ontraport 5.0, their role is minimized – and not really necessary moving forward. Campaigns can do everything you used to do with rules and sequences, but all in one place. No more hunting around for the rule that goes with the sequence or the date sequence that goes with the step sequence. They all live on one map now. MUCH more convenient! With all the new features, Ontraport has moved around where you find things. I’d tell you, but it depends on which version you have and what features you have turned on. So you may need to do a bit of exploring to find everything. I will say that you now have the ability to turn off and on features you don’t use so you have a cleaner user experience. Look under admin>>advance features or admin>>legacy features. 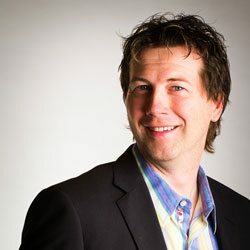 Is Ontraport 5.0 better than Ontraport 4.0? I think Ontraport 5.0 lives up to the hype. The new metrics alone is a game-changer. Not only for Ontraport users but for the marketing automation space as a whole. I’ve not seen anything like this in any other platform. Once again, reaffirming my belief in the Ontraport team. Nice job guys! What can Ontraport 5.0 DO? Ready to take advantage of all this power, but you’re not sure where to start? Schedule a time to speak with me. Let’s see if Ontraport is a good fit for your business. If it is, I have a great bonus offer for anyone who signs up through my link. If you’re already an Ontraport user and want to put an expert in your corner, let’s schedule a time to dissect your business and see how you could better use the power of Ontraport 5.0 to make more money and free up more time.